If you ever had your GoPro camera battery drain in the middle of an amazing photo session or skateboard stunt filming, you know just how huge a downer it can be. Even with a fresh power pack swap there’s no guarantee that your spare energy brick will tide you over to another top-up, and we all know it takes a while for a powerful camcorder battery to fully recharge. Well, it’s time to put all your camera juice-related concerns at bay – with PowerPole recently introduced by the creative engineering team at Polar Pro, one of GoPro’s designated accessory manufacturers, you can rest assured footage-wise because this cool pole-mount packs enough energy to extend the life of your camera by juice equivalent to 4.5 GoPro batteries. With 17-38 inches (43-76 centimeters) of extendable range, PowerPole is a perfect camera accessory for filming your awe-inspiring snow-carving adventures, countryside biking excursions, skateboarding street stunts, wave-shredding surf sessions and a range of other videos you’d like to add to your private director’s collection. On top of extending the camera recording range, this little piece of camera equipment can do one more trick that has nothing to do with rendering a creative perspective to your footage. 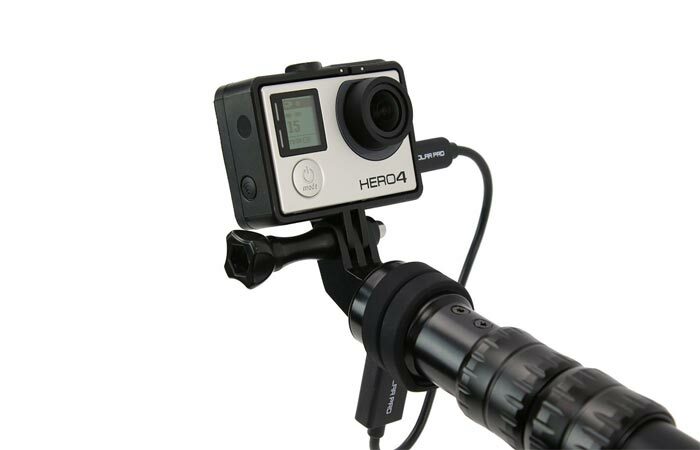 A convenient combo of GoPro-compatible features, PowerPole is a super-strong extension pole built from durable aluminum alloy and equipped with a potent 5,200mAh battery that promises extra filming time even after your camera juice runs out. Simply connect your camera with the pole via the cable that plugs into one of the two USB ports found at the PowerPole’s tips (you can use the other port for a separate device when multitasking with another USB-compatible device during your movie-making endeavors) and keep filming for another eight hours without having to interrupt your recording session to swap the drained battery with a fresh energy brick. 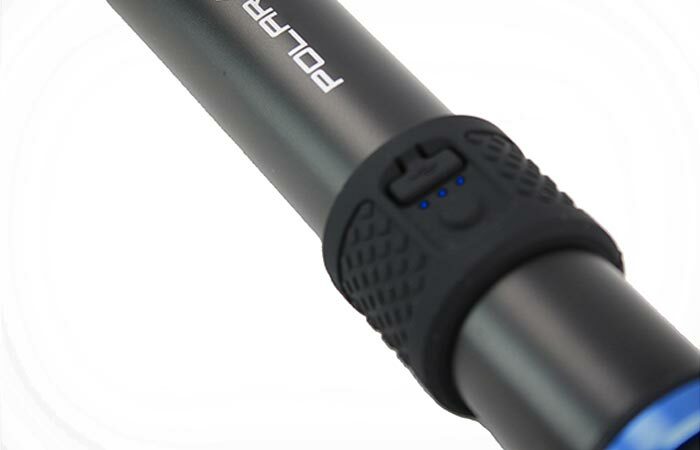 Incredibly durable, versatile and lightweight, PowerPole is designed for above-water recording but it has been fitted with a set of rubber splash guards to keep the USB ports safe and well-protected from dirt, snow, moisture or accidental splashes during the recording. 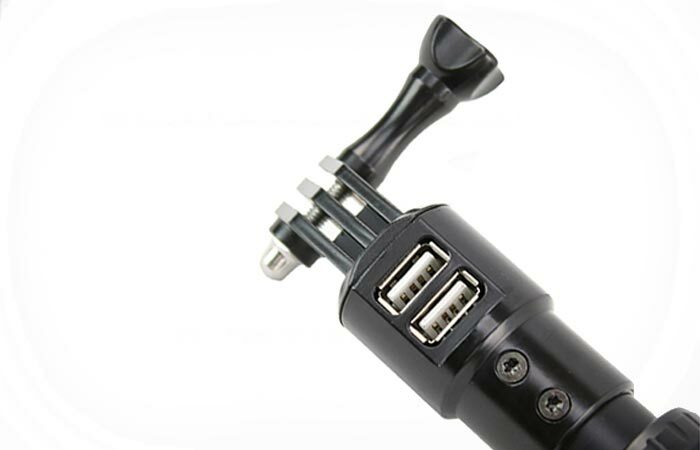 The pole is outfitted with a silicon grip for maximum comfort during filming and you can also check the remaining juice in your camera extension pole-come-external charger on a handy LED battery indicator.